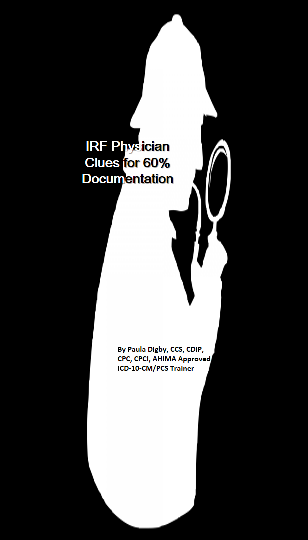 In the IRF setting, the rehab physician is expected to provide in depth documentation to clearly indicate why a patient belongs in the IRF and what exactly is wrong with them. Often, our auditors note a weariness from the physician’s point of view in addressed the minutia requested by the coding and billing staff. CMS has expectations as well, and they may or may not be clear to the physician. Provides Best Practice Examples, identifying documentation elements. This book ships in three (3) business days.